I gained about 20 lbs taking Avandia and was concerned about my heart. 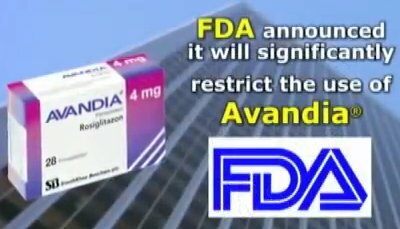 I expressed these concerns to my doctor and she said, that's crazy, there is no reason to believe side effects of avandia. I told her i wasn't taking it and that was final. she put me on Actos and weeks later i saw lawsuits starting about heart problems with Avandia. I then gained 20 lbs on the Actos and stopped taking it for about 4 months, i lost 32 lbs fairly quickly, but my blood sugar went back up so i was put back on the medication. I have gained 26 lbs in the 3 months since. my body aches all the time and when i sit for any length of time, i stand up and have to hesitate before walking. i am only 48 yo. Avandia and Actos are part of the Thiazolidinediones anti-diabetic drug-group. - water retention (edema), which must be considered in patients with heart failure. - liver damages; although from 2008 it is thought both of them are free from this side effects. That's why you're "gaining weight". I think it's not a proper weight-gain but it's an accumulation of water in your body. This is exactly you need to discuss with your doc. If you have any other concern, do not hesitate to write to us.